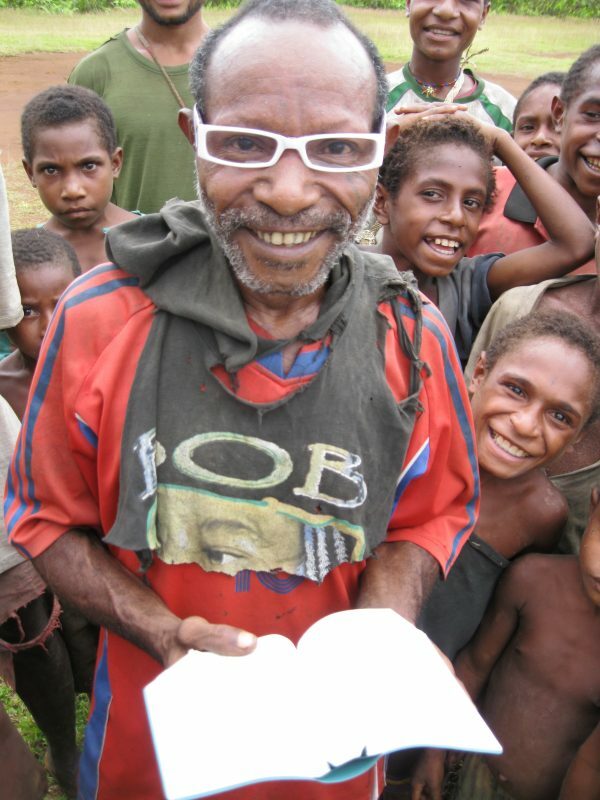 The Bible Box is a project that both MAF and CRMF partner together on. It’s quite a simple idea, but it’s life-changing for people who have no access to Christian resources and Bibles. What is the Bible Box? 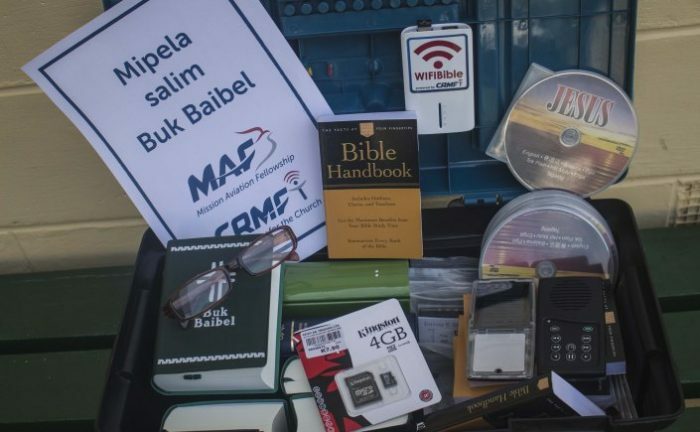 The Bible Box is a plastic toolbox stuffed to the brim with Tok Pisin Bibles, audio Bibles, Jesus Film, reading glasses, memory cards, Bible handbooks, WIFIBible and more. All these products CRMF supplies and we give these Bible Boxes out to MAF pilots. What’s so exciting about a cheap plastic toolbox? Well, it’s what we use to store bibles and other Christian resources to take to sell in the communities we visit. (You may be wondering why we don’t just give them away? It’s because culturally the people do not value something that has cost them nothing. So instead, we heavily subsidise them to reduce the costs to something they can afford). 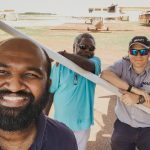 Below are some stories and testimonies from our MAF Australia pilots and MAF Papua New Guinea staff who help hand out these valuable resources. 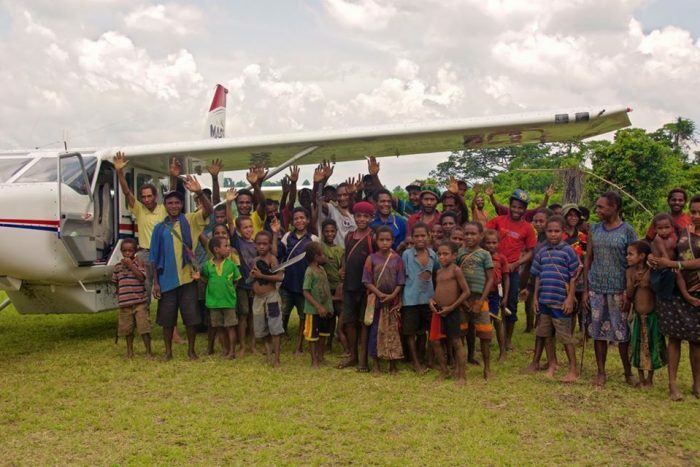 Paul Woodington is the only pilot flying in the remote Wewak region of northern Papua New Guinea – where there are no proper roads and people regularly travel over severe terrain. After coming back from a weekend outreach in the bush, where he took Bibles and solar powered audio Bibles, he came away with all of the audio bibles sold and back orders of 20. 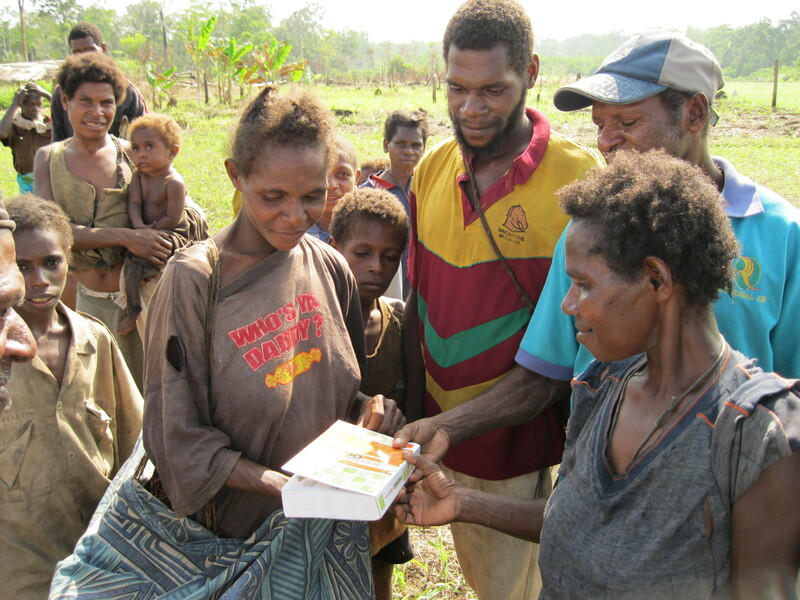 “ …one family purchased this audio bible from me, 3hours walk away from Guriaso in the West Sepik. They are very pleased to have this bible. All weekend we could hear people listening to their Bibles. Dave Rogers is a MAF Pilot based in Goroka Eastern Highlands Province. Dave was touched as people gathered around to buy the bibles. Andrew Little is an Australian MAF pilot who previously served in PNG. 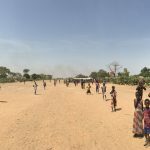 After flying to an airstrip, he has talked about people who have walked hours and hours or even up to half a day on the off chance that they might be able to buy a bible out of the back of the plane. “While at Yifki today the NTM missionaries there were asking Simon and me if we happened to have any audio Bibles. We had our Bible Box with us and, as this was the first stop of the day, it was full. We were able to sell them four audio Bibles which she lends out to some of the youth at Yifki. The youth are using the English audio Bibles to hear the gospel but also to learn English – win-win! When everyone saw the Bible Box come out, immediately there was a steady stream of people eager to buy Tok Pisin Bibles and within a few minutes, the box was empty apart from a couple of English Bibles. 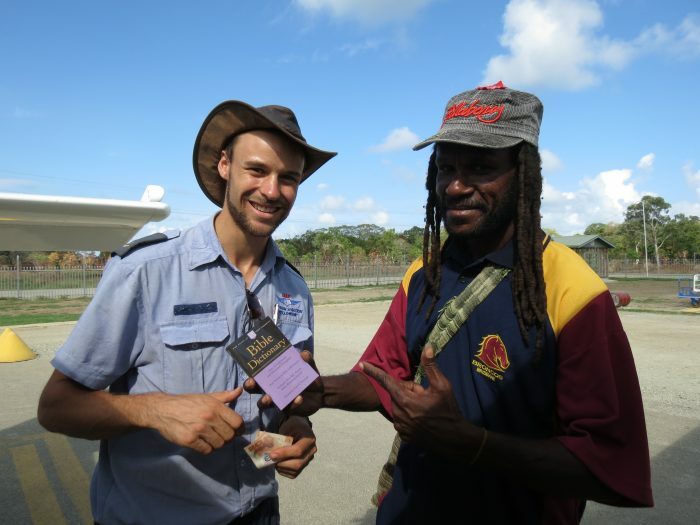 Todd Aebischer is the MAF program manager for PNG. On one occasion he climbed aboard a flight with a Bible Box flying to Abuluwa. Once landed, the locals explained to him that the closest road was a 1 ½ days walk for them. One man approached the plane and started asking after Bibles. 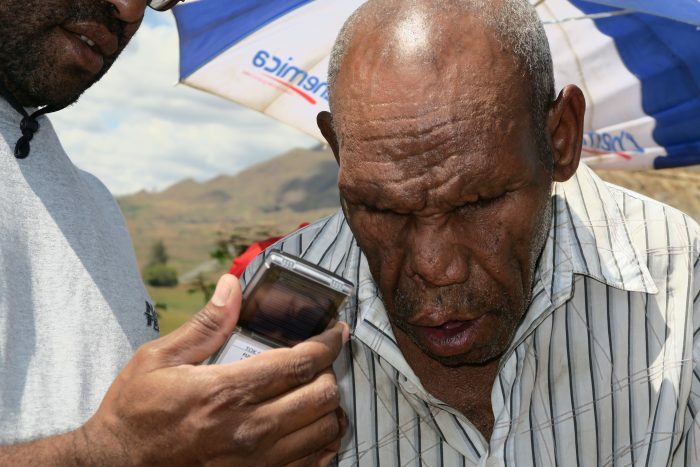 Trying to import Solar Audio Bible Players into PNG is also a challenge. CRMF do not always get tax exemption from the PNG government when importing these, which means the cost for one audio Bible is K76, making it very hard for a local in a village to be able to afford one. We depend on donors’ support to help subsidize the cost to K40. 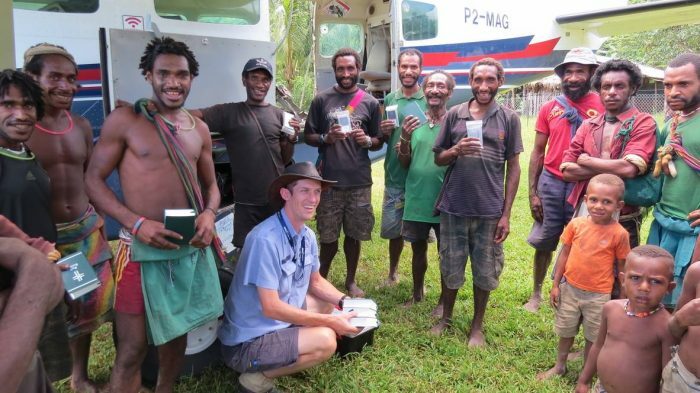 Please Pray for willing hearts who are able to give towards this project to make Audio Bibles more affordable for those in remote communities.